Joe Burgess scored a hat-trick as Wigan made it a dream double for Super League with an historic 22-6 win over Australian champions Cronulla to lift the 2017 World Club Challenge. The Warriors followed up Warrington's shock 27-18 win over Brisbane in the opening game of the World Club Series on Saturday night with a hard-fought victory over the Sharks to complete a notable 2-0 triumph against the NRL clubs. It represented a remarkable turnaround in fortunes for Betfred Super League, whose clubs suffered 3-0 whitewashes in each of the first two years of the expanded series, which threatened to put the future of the competition in doubt. Burgess, who spent the 2016 season in the NRL with Sydney Roosters and South Sydney, scored his side's first two tries and completed his hat-trick in the last action of the match as Wigan became not only the first English winners of the World Club Challenge since 2012, but the first team to lift the trophy four times. 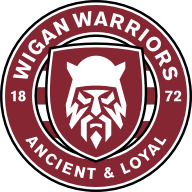 Coach Shaun Wane had sought to provide extra motivation for his team by bringing in a host of his team-mates from the victorious 1987 team to present the jerseys, and perhaps the Warriors were also inspired by Warrington's heroics the previous evening. A sight-seeing trip to Paris during their build-up suggested the Sharks were not prepared to take the game as seriously as their opponents, but this was another full-blooded encounter lapped up by a crowd of 21,011 at the DW Stadium. The Warriors looked strangely nervous at the start and England internationals Sean O'Loughlin and George Williams both came up with handling errors deep inside their own half inside the first six minutes. But an interception by winger Lewis Tierney helped them relieve the pressure the first time, and created the position from which Burgess scored his first try, courtesy of an acrobatic dive at the corner which enabled him to skirt the touchline. Burgess enjoyed a more straightforward finish after 22 minutes to double his tally after smart work from Williams, Sam Powell and his centre partner Oliver Gildart. Morgan Escare managed one conversion to make it 10-0 which is how it stayed until half-time, although Wigan lived dangerously at times and certainly rode their luck, with Cronulla having two tries disallowed by video referee Phil Bentham. 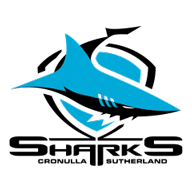 Veteran second rower Luke Lewis was denied for an offside by right winger Jesse Ramien following James Maloney's high kick, while left winger Kurt Capewell was ruled to have brushed the touchline as he reached another Maloney high ball. Substitute Cronulla forward Sam Tagataese was then thrown back from the line just before the break as Wigan defended superbly and they looked mightily relieved to hear the half-time hooter. There was no way back for the Australian champions, however, once Gildart, whose father Ian was among the class of '87, finished off a probing run by Escare to score Wigan's third try four minutes into the second half. Escare kicked his second difficult conversion to make it 16-0 and that forced Cronulla to play catch-up. They pulled a try back after 58 minutes when Raimen won the race to Gerard Beale's grubber kick to the line and Maloney added the conversion, but Wigan had done enough to hold on and they clinched a famous victory when Burgess dived onto a loose ball in the last action of the game and Escare kicked his third goal.